The EU’s secret offer, which website Correctiv has seen in its entirety, is made up of 181 pages of densely-printed text. It’s got almost 8,000 categories: every species of fish, every chemical has its own tariff category. Importing a parka? Its tariff will depend on whether it’s wool, or polyester for example. Both sides have placed conditions on their offers. There are 19 pages of tariffs on clothing, for everything from parkas to shoes, overalls and yarn. Tariffs hover between 9 and 12 percent, but the EU is offering total cuts, with an “R” for “reciprocity”. In other words, we’ll cut ours only if you cut yours. The US, on the other hand, has made clear that cuts on textiles depend on opening a discussion over country-of-origin labels. Public bids are a major TTIP sticking point. The EU wants the US to finally open its markets to allow firms like Hochtief or BMW to compete when cities put out a call for bids on a new building or fleet of cars. The US is less than eager, because that would subject domestic companies – which are already allowed to bid on projects in the EU – to increased competition. The lower house of Malaysia’s parliament passed a bill allowing the country to participate in the Trans-Pacific Partnership on Wednesday, clearing a crucial hurdle for the government to sign the free trade pact next month. In the chamber in which the ruling National Front coalition controls nearly two-thirds of the 222 seats, the bill was approved after two days of heated debate, with 127 legislators voting for versus 84 against. International Trade and Industry Minister Mustapa Mohamad, who tabled the motion on Tuesday seeking approval from the lower house to allow the government to sign and ratify the deal, assured the legislators that Malaysian social agendas will not be compromised. “The TPP will not change our economic model,” he said in a speech before voting began. “Bumiputera” or “prince of soil” refers mainly to the ethnic Malays, who make up some 60 per cent of the country’s 29 million population and who enjoy special privileges through the state’s affirmative-action policy due to the perception that they are still weak economically compared to the minority ethnic Chinese. The “bumiputera” issue is particularly sensitive to Prime Minister Najib Abdul Razak, whose party, the United Malays National Organisation, depends heavily on the Malay voting bloc. The opposition’s main arguments revolved around fear of the government losing sovereignty especially over the investor-state dispute settlement chapter and the “bumiputera” policy, which comes under the government procurement and state-owned enterprise chapters. They also spoke out over concern that the price of medicine will rise as a result of a longer patent-protection period under the intellectual property rights chapter. But Mustapa said the TPP recognised the “bumiputera” policy and the country is given a longer transition period and higher thresholds in certain sectors in order to allow the Malays to play catch up. Outside parliament, a dozen or so activists bearing placards with slogans such as “Malaysia Is Not For Sale” and “TPP Agenda Amerika” camped out overnight in a show of protest against the TPP. Nashita Md Noor, a 50-year-old social activist, believed Malaysia is not ready for the TPP. “It is the big companies that will benefit, not the people. Also, the TPP will open the door for big multinational companies to come in and our local small businesses will lose out,” she said. According to a World Bank report released earlier this month, Malaysia, Vietnam and Japan will reap significant double-digit bumps in their exports by joining the TPP. It said the TPP will boost Malaysia’s exports by 20 per cent in 2030 while its gross domestic product will rise by 8 per cent. This is in sharp contrast to the United States, the largest economy in the 12-member bloc, which it said will see a gain of only 0.4 per cent in its GDP. The TPP negotiations were concluded last October after five years of intense wrangling. Besides Malaysia and the United States, others in the pact are Australia, Brunei, Canada, Chile, Japan, Mexico, New Zealand, Peru, Singapore and Vietnam, which together account for about one-third of global economic output. With the passage of the deal in the lower house, it will be brought for deliberation and voting in the Senate on Thursday, where it is expected to be easily passed since the National Front also dominates the upper chamber. The 12 member countries are scheduled to sign the trade pact on February 4 in Auckland, New Zealand. After which, the government has two year to ratify the pact. Mustapa has said Malaysia still needs to amend 17 laws involving customs, intellectual property rights, labour, among others, to ensure “best practices” under the TPP. 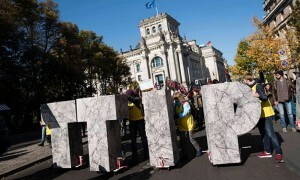 Tribunal decision could undermine opposition to TTIP. An international arbitration tribunal in December 2015 wound up a four-year dispute between the Australian government and tobacco company Philip Morris by announcing it was unable to rule on the matter — effectively siding with Australia’s position in the dispute. The case has resonated in Europe, where for some time opponents of the proposed Transatlantic Trade and Investment Partnership (TTIP) have used the legal challenge as a cautionary tale against signing investment deals. Philip Morris used an obscure investment agreement which Australia signed with Hong Kong in 1993 in an attempt to scuttle Australia’s “plain packaging” tobacco legislation, which has removed all branding from cigarette packets sold in the country. But Australia’s ability to fend off the legal challenge could undermine the argument that legal provisions contained in international investment agreements leave legitimate legislative reform vulnerable to big corporations. “It will be back to the drawing board for anti-TTIP campaigners,” said Hosuk Lee-Makiyama, director of the European Center for International Political Economy, adding that the parallels between Australia’s deal with Hong Kong and TTIP had always been overstated. However, anti-tobacco campaigners in Brussels say the decision by the Permanent Court of Arbitration in Singapore does nothing for TTIP’s credibility. “The arbitration court declined to hear the case on the grounds that it was not competent, as Philip Morris had shifted its commercial identity during the course of the case,” said Catherine Hartmann, vice president of the European Public Health Alliance. “There is nothing in the outcomes of the arbitration attempt that validates or questions plain packaging in Australia or anywhere else,” Hartmann said. The clash between Philip Morris and the Australian federal government began in 2011, when health authorities in Canberra drafted legislation to remove all branding from tobacco packets. The laws, designed to discourage people from taking up smoking, were implemented at the end of 2012. The legal action was possible because the agreement between Australia and Hong Kong contained an “investor-state dispute settlement” provision (ISDS), an arbitration mechanism which enables investors to take legal action if they feel their interests have been harmed by government policy. In 2012 the High Court of Australia, the country’s supreme court, found against Philip Morris, arguing the plain packaging legislation was not in violation of the constitution. The tobacco company then took its concerns to the international arbitrator, which effectively ruled against Philip Morris. Yet Nina Renshaw, the secretary general of the European Public Health Alliance, is adamant the risks of industry using ISDS to challenge health reforms remain. “The inclusion of an ISDS … in an EU agreement could raise the likelihood of such cases being brought against all kinds of public interest and health protecting policies in the future,” Renshaw said. In an unusual alliance, Philip Morris agreed with anti-tobacco campaigners. Company vice president Marc Firestone argued that the Australian government’s win was “entirely procedural” with no bearing on either the merits of plain packaging legislation or the ISDS itself. However, Lee-Makiyama said opposition in Europe to both ISDS and TTIP is based not on fact but misconceptions about American corporate culture. “This is coming from business interests that are concerned with American market share and from outdated ideas of multinational corporations which may have been OK in the 1920s but are meaningless today,” Lee-Makiyama said. “Opposition to the ISDS in Europe is also coming from national governments like Germany, which do not want a legal mechanism to stop them discriminating against foreign investors,” he said. The controversy has fed into a broader lobbying clash between the tobacco industry and anti-smoking campaigners in Europe, where plain packaging legislation is being hotly contested. The EU’s revised Tobacco Products Directive, which entered into force in 2014, steered clear of plain packaging reforms after the European Commission came under pressure from the tobacco industry. However, the directive allowed EU member countries to adopt national plain packaging laws. A number of EU governments have now done so. In December 2015, France passed tobacco legislation and will start to introduce plain packaging in May 2016. However, the tobacco industry is maintaining its opposition to such laws. Australia’s legislation is also being challenged by a number of tobacco-producing countries at the World Trade Organization. Meanwhile, on the other side of the Atlantic the EU’s soul-searching over the implications of an ISDS is being observed with interest by those opposing the inclusion of an arbitration mechanism in TTIP on the grounds that it is unnecessary. “A company entering into a contract with a foreign government can accomplish the same objectives as an ISDS simply by insisting on including an arbitration clause,” said Dan Pearson from the Washington-based Cato Institute, a libertarian think-tank. This article was corrected to clarify details of the 2012 Australian High Court finding. How can Philip Morris sue Uruguay over its tobacco laws? When the architects of the international order that took shape after the second world war created the United Nations, they gave the organisation a lofty goal: “Save succeeding generations from the scourge of war.” Through the UN charter – akin to a world constitution – solemnly adopted in 1945 in San Francisco, they also said they were “determined to establish conditions under which justice and respect for the obligations arising from treaties and other sources of international law can be maintained”. Since then and in line with that vow, the UN has put on the world stage not only the Universal Declaration of Human Rights, but also legally binding instruments, including 10 core human rights conventions and countless declarations and resolutions. But now more than ever, one single mechanism – the little-known investor-state dispute settlement (ISDS) – threatens the existing system of justice, the concept of checks and balances, the very core of the rule of law. Its implications for the respect of human rights around the world are devastating. If it is allowed to continue to exist, it will hijack the dreams of a just international order born out of the second world war. It must be abolished because it undermines fundamental principles of the UN, state sovereignty, democracy and the rule of law. Far from contributing to human rights and development, the international investment regime and ISDS have resulted in growing inequality among states and within them. Article 103 of the UN charter is clear: in case of conflict between the charter and any other agreements, including ISDS, it is the UN charter that prevails. The ISDS mechanism is a unique privatised system of arbitration, often buried in bilateral investment treaties and multilateral trade agreements (such as Nafta and TTIP). It grants an investor the right to use private dispute settlement proceedings against a foreign government, yet governments cannot sue the investors. The system is neither transparent nor accountable and often results in aberrant judgments without the possibility of appeal. Over the years, it has led to inconsistent, unpredictable and arbitrary awards contrary to national and international public order. In 1993, a waste management business, Metalclad, sued Mexico for indirect expropriation after Mexico had adopted an ecological decree declaring the area where the company was doing business and seeking to develop a landfill to be a natural reserve. The ISDS tribunal found that the government had taken a measure tantamount to expropriation and ordered Mexico to pay $16.7m (£11m) in compensation – later reduced to $15.6m. One commentator suggested that such broad interpretations of expropriation provisions could reverse the established tenet of environmental policy that the polluters should bear the cost of their pollution rather than be paid not to pollute. More recently, Philip Morris sued Uruguay after it adopted a number of anti-tobacco regulations with a view to implementing the 2003 World Health Organisation’s framework convention on tobacco control, aimed at tackling the health dangers posed by tobacco. A decision from the International Centre for Settlement of Investment Disputes is expected later in 2015, but the figures are telling: Philip Morris is claiming $25m in compensation from Uruguay. This is not only absurd: it gives me moral vertigo. The last 25 years have delivered numerous examples of abuse of rights by investors and unconscionable ISDS arbitral awards, which have not only led to violations of human rights, but have had a chilling effect, deterring states from adopting necessary regulations on waste disposal or tobacco control. There is no justification for the existence of a privatised system of dispute settlement that is neither transparent nor accountable. Investors can have their day in court before national jurisdictions, often with multiple opportunities for appeal. Investors can also rely on diplomatic protection and ISDS procedures. The ISDS cannot be reformed. It must be abolished. A peaceful, just, stable and sustainable international order cannot be ensured by the private sector, whose driving force is short-term profit. No one should underestimate the adverse human rights impacts of free trade and investment agreements on human rights, development and democratic governance. Respect for human rights must prevail over commercial laws. It is time for the UN general assembly to convene a world conference to put human rights at the centre of the international investment regime. In this context, a binding treaty on business and human rights is long overdue. If Kennedy was right, then the United States and its partners in the Transatlantic Trade and Investment Partnership (TTIP) must be very afraid indeed of their people. Despite a promise made only weeks ago by the EU trade commissioner Cecilia Malmström to “publish detailed and extensive reports of the negotiations,” key documents recording details of negotiations between Big Tobacco and the EU were heavily redacted before being posted on the official EU website. Virtually every word of the documents recording correspondence with and minutes of meetings with tobacco lobbyists and representatives of the governments of the United States, Japan, and the European Union was blacked out before being made available online. In one example typical of the amount of pre-publication editing, a 14-page letter from British American Tobacco revealed fewer than five percent of the text. What was visible was little more than the written version of small talk. Another egregious example of what the EU and U.S. trade representatives consider “access” and “transparency” is a single page memo of a meeting with lobbyists working for Philip Morris. In that offering to openness, even the date was redacted! Activists in Europe have requested the full record of these meetings, supposing that they would reveal efforts by multinational tobacco conglomerates to include revocations of national (American, Japanese, and European) restrictions on the advertising, buying, and selling of tobacco. An EU watchdog organization specializing in monitoring corporate lobbying is preparing to file a complaint with an EU government agency to force Big Tobacco and the representatives of the TTIP member nations to expose to the people of all interested countries the full, unredacted record of these critical conversations. Regardless of the true purpose of these meetings, the fact that the participants want them kept secret is telling. What is certainly not secret is the fact that U.S. law will be abrogated by whatever agreements the trade negotiators work out in secret with the tobacco industry and other segments of big business that see an opportunity to circumvent the Constitution and promulgate new, more favorable, less restrictive regulations. Constitutionalists in America and friends of liberty and economic freedom on both sides of the Atlantic are fully aware that the TTIP is not to the liking of any right thinking person. The Transatlantic Trade and Investment Partnership (TTIP) proposes to begin “deep and comprehensive” integration between the 28 member states of the European Union and the United States. Over the course of the past several years, we have published many articles detailing the dangers posed by these (still officially secret) agreements. We are bringing together here, in abbreviated form, 10 of those reasons why every American — whether identifying as Republican, Democrat, Libertarian, Independent, Tea Party, liberal, conservative, or constitutionalist — should oppose both of these proposals. Jasper goes on to list 10 reasons to oppose the TTIP. It is that word “integration,” though, that should evoke the greatest resistance from Americans and Europeans who understand our common legacy of individual liberty and the trouble that is caused by political consolidation. Of course, the most relevant and revealing question is why would negotiators — corporate and government — continue trying so hard to conceal the content of their negotiations if the deal were good for Americans? The Obama administration has audaciously claimed that the TPP and TTIP processes are “completely transparent,” and President Obama has publicly claimed to be peeved by charges (false charges, he says) that there is any secrecy involved. But the president is talking utter nonsense, if facts mean anything. It is a fact that after more than three years of (secret) negotiations, the administration still has not made the draft texts of either of the agreements available to the public. In a press conference attended by this reporter in December 2013, it was admitted that in the official document outlining the deal, the Obama administration makes clear that an agreement will not be chiefly focused on matters related to international trade, but rather “behind-the-border” (read: domestic) policies such as health, environmental, and monetary policy. As with so many of the other panoply of recent trade deals, multinational corporations operating within the United States and the EU are achieving quasi-governmental power and using that authority to limit the ability of U.S. and EU courts to enforce domestic laws, particularly those that the corporate interests deem detrimental to their bottom line. If the globalist and corporate interests in the United States and Europe successfully silence the outrage of the opposition on both sides of the Atlantic and achieve adoption of the agreements, then the integration of the United States with regional blocs in the Pacific and Atlantic will rush headlong toward completion and the ultimate surrender of sovereignty will ride up rapidly on its heels. As it stands today, despite the redactions, it appears that the right of Americans to elect those empowered to make laws is being repealed by corporate lobbyists meeting safely behind a thick veil of secrecy. The row over the European Commission’s release of heavily redacted documents documenting its relationship with the tobacco industry is just ‘another dirty drop in an already murky pool’, argues Florence Berteletti. The adoption of the EU’s revised Tobacco Products Directive should be considered a victory for public health. However, it also marked the end of five years of controversial lobbying practices by the tobacco industry, which included a multitude of well-documented unsavoury events. One would have hoped that in the aftermath of these events, the European Commission would have learnt some lessons and would now be dealing with the tobacco industry in a different manner. The EU and its member states have all ratified the framework convention which entered into force almost ten years ago. Being party to the convention, the EU has an obligation to protect its policy setting and law making from the tobacco industry’s commercial and other vested interests. Let us not forget that through the framework convention, the world’s governments and the EU have, with the backing of the WHO, agreed that the tobacco industry should be judged separately from other industries. One-size-fits-all no longer works; the tobacco industry is different! The fiasco related to the cover-up of the documents between Commission officials and the tobacco industry during the negotiations over the proposed TTIP treaty is another dirty drop in an already murky pool. The lack of transparency illustrated by the heavily redacted documents provided to Corporate Europe Observatory is shocking. How long will we, citizens and MEPs, continue to be duped in this way? Even if I am aware that the EU is the biggest trading bloc in the world and that the commission is interested in keeping it that way during the TTIP negotiations, it should not be done at any cost. Over the years, Europe has been at the forefront of efforts to end the tobacco pandemic. We have made important strides to establish good policy and law which has helped reduce the burden tobacco places on our societies. In this, we should not be let down by today’s commission. The EU bears a special responsibility with regards to tobacco control. Why? Because the tobacco pandemic was created by us and much of ‘Big Tobacco’ is still headquartered in Europe. We need to recognise that we need to do better. I hope that the Europe will not let the current state of affairs go unchallenged and will continue to demand full transparency of meetings between the tobacco industry and the commission. This is the least we can do. The most important documents about the TTIP talks are unavailable to us MEPs as well as the public – and it suits big business to keep it that way. Are you concerned about the implication of the Transatlantic Trade and Investment Partnership (TTIP)? Don’t worry! Only this month, the EU trade commissioner Cecilia Malmström promised another offensive on TTIP transparency: even more documents from the negotiations would be made available. Her promise was put to the test only a few days later: the corporate transparency nerds of Corporate Europe Observatory finally received documents on exchanges between the tobacco lobby and the Brussels institution concerning TTIP and the EU-Japan trade talks. The punchline of the story? Most of the documents were redacted. An exercise in black humour, in the most literal sense possible. A picture of the blackened documents received thousands of shares and likes on social media since. This rather amusing episode demonstrates the secrecy that still pervades the trade deals. Certainly, the EU commission has responded to the wave of criticism by civil society organisations against TTIP. A long list of documents, which they had previously kept secret, was published on its website. But the most important TTIP documents are still unavailable. No one knows what the US government is really asking from Europe. This is why many positive as well as negative claims cannot be substantiated, and exaggerations from supporters and adversaries of TTIP dominate the debate. Wikileaks’s offer of a €100,000 reward for the first person to leak the most secret documents is therefore highly welcome. We shouldn’t make the mistake of focusing too much on TTIP alone, though: not even the EU’s negotiation mandates for most ongoing bilateral trade negotiations are public. Wikileaks’s offer of a €100,000 reward for the first person to leak the most secret documents is welcome. Unfortunately, most politicians in the European parliament are as much in the dark as ordinary citizens. We MEPs may get access to a few more documents in the parliament’s reading room than those searching the EU commission’s website. Nevertheless, the most important ones containing the demands of the US government are kept secret, even from MEPs. Even worse, although there are thousands of pages of documents, readers are not allowed to take any notes. Non-native English-speaking MEPs are further deterred by highly technical trade-law jargon. And while we could employ staff who are better trained to read the documents, they are not allowed to access the reading rooms. Therefore, the right of access to documents for MEPs is largely a sham. A real understanding of what is going on is only achieved through the actual publication of documents. Green MEPs have consistently demanded that full transparency of trade negotiation should be made a precondition for their progress. I simply do not understand that – in particular – conservative, liberal and socialist colleagues applaud the continuation of negotiations that they cannot effectively control. In order to regain credibility and public trust, the European Commission should end secrecy in trade negotiations and publish all important documents and in particular all negotiation mandates. As tempting as it may be to assume that this lack of transparency is solely an EU phenomenon, it is not. International deals have always been negotiated in darkness. This is why not even Europhobic governments such as the Conservatives in the UK have complained credibly about the lack of TTIP transparency. Otherwise it would become too evident that their own international negotiations are hidden behind the same veil of opacity. The European parliament continues to be the only important political space where representatives from different countries negotiate international law under the eyes of the public. This is a historic achievement in building international democracy, of which Europe can be truly proud. Beyond the lack of transparency, the real trouble with TTIP and the EU’s multitude of bilateral trade deals is not in the method, but in substance. Europe should put its weight behind a multilateral trading system based on open markets, fairness, sustainability and democracy. An equitable reform of the World Trade Organisation rules is clearly better for business and ethics than lots of bilateral trade and investment treaties. It is a myth that the WTO will never progress. The WTO trade talks could succeed if EU member states were ready to end unfair privileges, such as unsustainable agricultural subsidies and an obsession with intellectual property rights even in the poorest countries. TTIP, CETA and other bilaterals are much more than traditional trade agreements. They are deals aimed at harmonising or mutually recognising regulations and standards for goods and services. This touches the very heart of our democracies in Europe. Certainly international harmonisation of technical standards can enhance efficiency and cut red tape. A TTIP limited to technical standards and their application only could be positive. But when it comes to values-based choices, democracies must be free to change the level of regulation. Unfortunately, TTIP and co are about the most valuable standards in our societies, such healthy food, stable financial markets or chemical safety. European democracy should be able to increase environmental, social and consumer rights without having to find agreement with trading partners or to put its own businesses into a competitive disadvantage. Europe must remain free to develop the common market into a space of high standards for consumers, workers and the environment. Blocking this is likely to be the real motive behind the big business lobby’s obsession with TTIP and co. Europe is big enough to sustain a high level of social, consumer, health and consumer rights even in a globalising world. No transnational company wants to stop selling to the European common market. Therefore, Europeans hold in their hand a powerful tool for greening global business. This democratic tool we must not give up for the small potential benefits of bilateral trade deals negotiated behind a veil of secrecy.